There are some that don't give a second thought to their car's registration number. To them, it's just a random combination of letters and numbers. To others, a number plate is a way to express individuality. Personalised Plates can be used to reflect things like a driver's name, profession, or hobbies. It could be possible that you have a combination of letters and numbers that another person wants or maybe you're tired of yours and want to sell it to get another one. 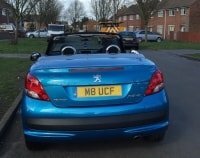 Here is a guide to selling a private number plate and how to assign it to another person. If you decide on selling a private number plate, then chances are you're probably going to contact a dealer to get a quote. Most dealers can give you a quote online and others will have to post it to you, but it will work pretty much the same. For some automated online systems, sometimes they won't recognise the significance a plate has. If that happens, you shouldn't get angry, just contact the dealer to explain. The quote you receive will be the money that comes back to you once a buyer for the plate is found. It's a pretty simple process that you should do before jumping in and selling your plate. It's good to know if the price will be worth the hassle. You can use a private number to either sell your plate yourself or go through a dealer. Just make sure that you don't scan or share a photograph of the V750 or V778. This will leave an opening for someone other than the buyer to use it and put the private number on another vehicle. After you find a buyer you will need to assign your number to their vehicle yourself. That sounds like it might be annoying but it's actually a pretty simple process. If you want the power to get everything done placed in your hands then you might want to go this route. Most dealers will find a buyer, arrange the payment, and assign the number to the buyer's vehicle for you. It's a pretty convenient process. Many dealers actually won't even charge you to sell your plate through their website unless you sign up for a premium package. Once it's listed on the website the buyer will pay you, pay commission for the dealer, and the price for the transfer. This option is good if you just want to post your number up and then forget about it until there's money in your hand. It might be a bad option if you were wanting a little more control in the matter. If a buyer is found and a deal is reached, then you will get a written confirmation about the procedure. The dealer will ask you for your V5C registration Certificate (log book). If your registration is on a certificate, your V778 (Retention Certificate) or your V750 (Certificate of Entitlement). On top of one of these, you will also be asked for the authorisation to administer the certificate. The dealer should always be holding cleared funds from the buyer before proceeding with the transfer and will clearly state when you should receive the payment. The dealer will also check and submit all relevant documents to DVLA. Please keep in mind that a reputable dealer like ourselves will explain the entire process to you. You can put your private number on someone else's vehicle via online or through post. Either way, the DVLA will send you a replacement logbook for the vehicle but with a new private number shown on it. To assign your private number online, all you have to do is get details from the other vehicle's log book (V5C), and your V778, or V750. After you have that, just plug in the information accordingly. If you want to send it by post then you need to send the DLVA a little bit of paperwork. They will need your V778 or V750 form- Fill out sections 1 and 2 and sign it. They will also need the V5C of the vehicle you want to put the private number on. The address for the DLVA can be found on these forms. 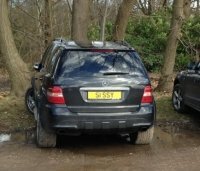 If you're desperate in selling a private number plate in a hurry then there is a possible option for you. Keep in mind that it's probably the one that will bring you the least amount of money. 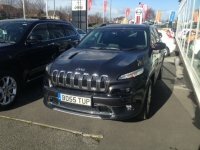 You can contact a dealer and ask if they would be interested in buying it into stock for quick cash. Also, if you're sitting on a really rare plate that you don't want to sell yet then a pawn loan might be another option for you. 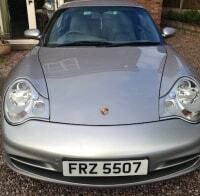 You'll be able to pawn your number plate and then get it back once you're able to pay the loan off. This is all you need to know about selling a private number plate. You can go through a dealer or sell it yourself. A dealer makes things a little easier because they do everything for you. If you have the right paperwork you can sell right away and make some pretty quick cash once a buyer is found. If you're ready to sell your number plate today, contact us to see how we can help you.